London : In addition to keeping your family up all night, loud snoring may have more worrying consequences, a recent study has revealed. Subjecting mice with kidney cancer to reduced oxygen, US and Spanish scientists found evidence that starving the body of oxygen can trigger the development of tumours by promoting the growth of blood vessels that feed them, the Mirror reported. 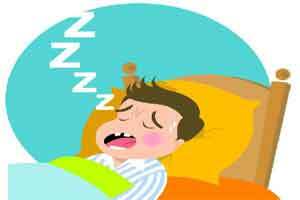 Sleep apnoea, in which the walls of the throat relax and block the airways, is already associated with obesity, diabetes, high blood pressure, heart attacks and strokes. Dr Antoni Vilaseca, of the Hospital Clinic of Barcelona, told a conference in Munich that this indicates that conditions which restrict oxygen may promote cancer. A report suggested the findings may explain how a bad night’s sleep might worsen cancer development and why patients, who exercise and get oxygen pumping, through their blood may be more likely to beat cancer.